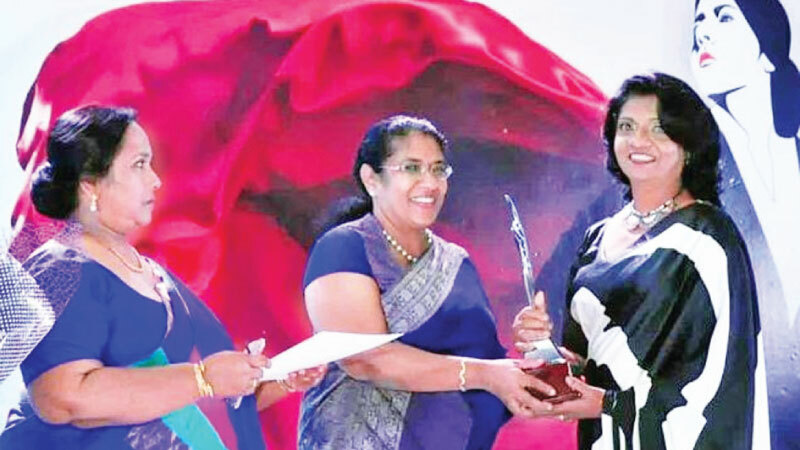 Chairperson, D&R Exports (Araliya Products) Manel Rajkumar won the silver award in the Large Scale Enterprises Category at the Woman Entrepreneur of the Year Awards 2018 ceremony organized by the Women’s Chamber of Industry & Commerce Sri Lanka. Rajkumar, established the company (Araliya) with her husband Rajkumar in 1998 as a small scale enterprise and had managed to develop it into a successful business that brings foreign revenue into the country in the last 20 years. Her business journey, which commenced from exporting Lime Pickle under the brand name Araliya, is proof that a woman can reach the zenith of the business world while fulfilling her responsibilities to her family. She started her business, which operated from her house with goods being transported using her small car, when her husband’s business ventures underwent a bad patch. Currently the company exports a wide variety of processed and value added food items which include tempered dried fish, pol sambol, chutney, ambarella curry, mango curry, polos curry, pickle, dried fish pachchadi, dried fish moju and breadfruit, murunga, jack fruit, polos, kohila, kehel muwa in brine water etc. These products are exported to Australia, Dubai, USA, Canada, New Zealand, Switzerland, Germany, Italy etc under the brand name of Araliya. Araliya is a well known and very popular food brand in foreign countries. A large number of local farmers are supported by this initiative. Rajkumar has provided direct and indirect employments to more than 200 people.